The last transistor active preamp I owned was Nelson Pass’ Threshold SL 10. It was a pure class A design that used cascade gain stages that with matched FETs driving a PNP, whose collector was biased by a constant current source that drove a complementary pair of followers. It also had an outboard power supply. The moving coil input is still quite innovated by today’s standard and was exceptionally good. It cost a staggering $950 in 1979 but compared to my clunky looking Audio Research SP-3 (with some number behind it, I can’t remember what the last version was), the SL 10 was simply beautiful, sleek, thin and had the most beautifully shaped knobs I have ever seen to this day. It also had a built-in moving coil head amp that the audio press said was the very best there was. I drooled over it for several years and eventually sold my SP-3 in the early 80s and purchased my own Threshold SL 10, which pleased me for many years. So it was with great anticipation that I awaited the arrival of Pass Labs new, money-no-object, preamp. Some people have asked me why I’m reviewing a $38,000 preamp with Pass Labs’ XA30. 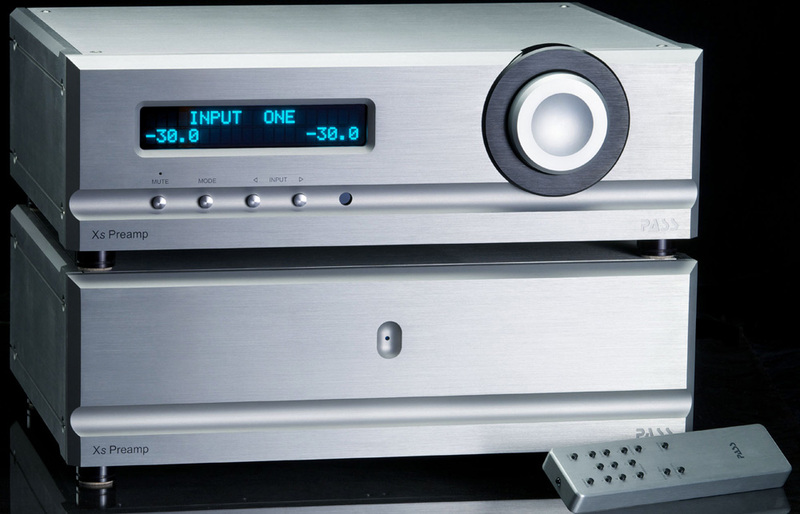 8 stereo power amp that costs only $6,500. The answer is simple, the XA30.8 was the first amp I had found in ten years that bettered my $30,000 Wavac EC300B, so why wouldn’t I mate it with the best preamp I could find. It’s worth mentioning that no one at Pass Labs questioned my plan; that surely speaks to how good they think the .8 amps are. I need to begin this review by admitting the Pass Labs Xs Preamp is the most expensive preamp or amp I have reviewed. 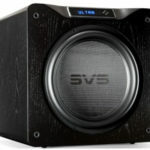 I want to remind you dear reader, that I just reviewed the Pass Labs XA 30.8 amp and it was the best amp I have heard at any price including some that cost five times as much. 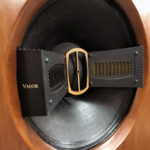 This also makes the Pass Labs XA30.8 the most cost-effective amp I have run across in the very high-end. As you read this, keep in mind that the Pass Labs Xs Preamp was an effort by Wayne Colburn to build the very best sounding preamp without any compromise in either quality or price. There is the fact that the Pass Labs Xs Preamp sells for $38,000. Also please remember that Pass Labs makes some exceptional preamps that are more reasonably priced, but not inexpensive. The Xs Preamp is a dual-mono, two-gain-stage Class A design. 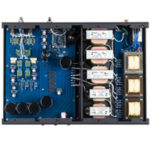 Each channel has its own power supply board with 100,000 uf of capacitors combining several kinds for optimum performance, from high-reliability electrolytes to custom polypropylene. When your preamp is a cost-no-object design you expect high performance and exotic materials to be used and the Xs will not disappoint. It has gain stages with ceramic circuit boards and gold plating and much more. The circuit board materials are optimized for performance in each area; a power supply circuit board has different requirements than a gain stage, and they use different types optimized for their specific uses. The use of newly available silicon carbide semiconductors kicks performance up a bit by dropping noise below the level of the XP30. The gain stages from input to output connectors and all parts between them have been chosen for maximum sonic performance. It uses a DC coupled ultra symmetric gain path with high bias class A circuitry. The power supply has lower noise with a refined circuit design and layout. It has new gain stages with auto bias and DC. It is truly an all-out assault on the state-of-the-art in preamp design. Of course, I set it up in my reference system which consisted of the AMG Viella V12 turntable system, Soundsmith SG-220 Strain-Gauge cartridge, Emia Remote Autoformer, Teresonic Ingenium XR Silver speakers with Lowther DX4 silver drivers, High Fidelity Cables CT-1 and CT-1 Ultimate Reference interconnects, speaker cables and power cables plugged into an HB Cable Design PowerSlave Marble, and the Pass Labs XA30.8 amp which has replaced was my beloved Wavac EC-300B . The Xs Preamp, of course, replaced the Emia Remote Autoformer. The Xs Preamp weighs 80 pounds versus the 108 pounds of the XA30.8 amp. When you consider this weight is divided between two chassis, it was much easier to unpack and install. When my UPS guy knocked on the door, I said, “I’ll go open the garage door, I know you have two big boxes.” To my surprise he said, “No, just one huge box.” The packing of the two boxes for the power supply and the preamp in one box really worked well, once you get the box to where you can unpack it. It was really well packed, but also easy to unpack. I took the time to read the instructions, which are a good read, but could use more pictures and details. Doesn’t much matter how good the instructions are because this is one of the most intuitive preamps to hook up and use that I have seen in years. The front panel is very simple. You have a big knob to turn for the VOLUME, two buttons for BALANCE control, one for MUTE, and one for PHASE. That’s it except for a nice big display that is easy to read from my listening chair. Thankfully, you can dim it or turn it off. The back panel is equally as clean and easy to hook up. On the back panel here are seven XLR and six RCA inputs lined up with the power connections to create a true dual mono setup. There are also input and outputs for tape in and tape out. Then there are three XLR and RCA connectors outputs. Two are main outputs and one provides a slave function that could be very handy if you are bi-amping. The remote control is nicely laid out for all the basic functions. I had cleared out the middle shelf of my double wide Box Furniture D3S Audio Rack, and I placed the preamp there. I use High Fidelity Cables Ultimate Reference Cables, which still aren’t available as balanced cables. I have compared them to other very expensive balanced cables and much preferred the single ended HFC Ultimate Reference. I then proceeded to hook up my Soundsmith Strain-Gauge cartridge preamp, my 47 Labs Midnight Blue CD player and, of course, the Pass Labs XA30.8 amp. Then, I placed the power supply on the shelf and hooked up the two umbilical cords from the power supply to the preamp unit. When I saw how thick the umbilical cords were my mind went back to the ASR Emitter I Exclusive amplifierr and how difficult it was to work with those thick cords. Thankfully, while thick the Pass Labs umbilical cord was flexible and very easy to work with. Then I plugged in with an HFC Ultimate Reference Rhodium Plus power cable and turned it on! Dimensions: 19" x 6.25" x 14"
Hi Jack, a excellent review on the Pass Labs XS preamplifier, I use the Pass Labs XS preamplifier for my reference and truly appreciate its incredible sonic performance matched with my Pass Labs XA 160.8 mono block amplifiers. 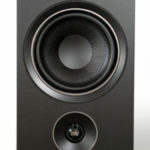 I have used Lowther speakers of many varieties in the past and know their sonic virtues, personally I like the TAD 4001A and 1601A drivers using Dueland crossover components for my music tastes. This combination matched with the SME 30/12 turn table and EMM Labs XDS1 V2 CD/SACD player create a incredible music playback environment. It is wonderful to read and share your very positive review on the Pass Labs XS preamplifier. Thank you Jason Parmenter.